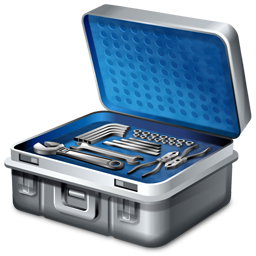 WinTools.net Professional / Premium 17.5.1 Multilingual Portable ~ Apps2Portable | Free Portable Apps for PC ! WinTools.net is a suite of tools for increasing MS Windows operating system performance. WinTools.net cleanly removes unwanted software from disk drives and dead references from the MS Windows registry. WinTools.net puts you in control of the Windows startup process, memory monitoring and gives you the power to customize desktop and system settings to fit your needs. Adds more speed and stability for your connection. Ensures your privacy and keep sensitive information secure. WinTools.net Premium contains tools: Clean Uninstaller, Scan Files, Scan Shortcuts, Scan Registry, Startup Manager, Tweak UI, Net Tweaker, Your Privacy, Invisible Man, File Shredder. Clean Uninstaller - This tool is used for both correctly removing software and for monitoring changes made to the hard drive, MS Windows registry and system files during program installations. installation process of program, monitor installed files and changes made to the Windows registry system files during installation. Scan Files - This tool is used for periodic cleaning of your hard drive from dead references, junk and obsolete files produced by different software. These files and references remain on the hard disk and increase drive access time. When different programs are running, temporary files necessary for the proper functioning those programs are created on hard disk. Quite often these temporary files are not deleted. The temporary files remain on hard disk, occupy the space and sometimes slowing the work of your computer. The tool "Scan Files" is used for periodic cleaning of the computer from temporary and unused files. Scan Registry - This tool is used for periodic cleaning of the MS Windows registry from unused applications remained after uninstallation and from invalid references which decrease system speed and system loading time. Many programs store information about themselves in the Windows registry; these programs add new file extension associations and install components of their own. Far too often, the unistallation methods used by these programs fail to remove their information from the registry adding unnecessary bloat. After several series of installation/uninstallation, the Windows registry becomes bigger and bigger; computer power declines and program access times increase. The "Scan Registry" tool serves for periodic cleaning of the registry and for correcting incorrect registry records. Start Up - This is a startup manager. This tool allows you to monitor, add, remove, enable and/or disable individual startup items. You can also adjust applications initialized during the loading process of the operating system. the autothread process. The "Start Up" tool monitors all records about autothread and allows to delete/add and temporarily disable records. Tweak UI - This is a set of additional adjustments related to safety, system capacity and user preferences and which are not included into basic components of MS Windows. Global - adjustments which allow for changing system files and registration information. Desktop – a set of adjustments that can be made to the desktop. System – system settings, ways of the loading of a system and devices. StartMenu – a change of the interface of a Start menu. Security – an adjustment of security of a system. Ctrl Panel – a manager of the bars used for the administration of a system. Net Tweaker - tool is used for speed increasing of data transfer by changing hidden network settings. With equal speed connection on different computers different speed of data transfer is possible. The thing is TCP/IP is for transfer of packets of data. The packets can be of different degree of compression, of different size, time of life, can have different error repeats… That is why under different settings, equal speed of connection completely different speed of data transfer is possible. Changing settings with the help of "Net Tweak" tool you can get more stable work with bad connection(at the same time you can lose some speed) or you can get higher speed of data transfer with good connection at the expense of stability which will be provided by good connection line anyway. The Privacy - This is a kit of tools which ensure your privacy and keep sensitive information secure. While you are working on your computer the system monitors the so called "history" and saves it. All information about your work in the Internet - when and which sites you visited, of what content, which programs downloaded, with which documents you worked, which and whom you wrote, what you looked for, which folders you opened, what computers you connected to - all that and a lot of other information is left on your computer. Any person who has an access to your PC can easily access this information and monitor practically your every step. Besides he/she can collect compromising information about you. In that situation confidentiality can not be guaranteed. So much accessible information about you not only destroys your privacy but also slows down your computer. All this information is kept on your hard drive, in the system registry. Besides the history of started programs, history of the search, history of last opened documents is constantly loading by the system and "eats" RAM of your computer. "The Privacy" tool will let you work on the computer not leaving traces of your activities. It consists of three basic parts: "Objects to Erase", "Invisible Man" and "File Shredder".